Portugal must play just like a World Cup semifinalist on Saturday if it wants to make the Euro 2008 finals. But without Cristiano Ronaldo. Portugal is second in top-heavy Group A, but a loss against Belgium at King Baudouin Stadium would leave it with a real struggle. "Everyone is aware that this game is hugely important for our qualifying campaign," coach Luiz Felipe Scolari said. Ronaldo was suspended, and the Benfica attacking duo of Simao Sabrosa and Nuno Gomes and Chelsea defender Ricardo Carvalho all injured, adding to the problematic buildup for Scolari. He was consoled, however, by the fact almost every national team in Europe was affected by end-of-season injuries, and Belgium was no different. The Red Devils are without three of their best defenders, including Bayern Munich's Daniel Van Buyten. The fortunes of Belgium have not sunken as low in a generation, and it languishes in 62nd place on the FIFA rankings. It makes Portugal, ranked seventh, a favorite in the qualifier. "For them it's the last chance for the qualification, but Portugal has to worry about it's own ambitions," Stuttgart defender Fernando Meira told the sports daily O Jogo. "From now on all the games are vital. We know that we've committed as many errors as we can afford to and we're well aware that if we have another slip-up it could be fatal." Poland leads Group A with 16 points from seven matches. Portugal, Finland and Serbia are tied for second with 11 points each, while Belgium has seven. The top two in the group advance to the finals in Switzerland and Austria a year from now. After making last year's World Cup semifinals, where it lost to France, Portugal was expected to have a better handle on the group. But a draw against Finland and a loss to Poland left it with a lot to catch up. And even statistics are not with Scolari. Portugal hasn't won on the road in qualifying for two years, and it needs to snare all three points in Brussels. Although Portugal won 4-0 in Lisbon back in March, Belgium will be counting on history - the home team has come out on top in the three competitive matches between them on Belgian soil. 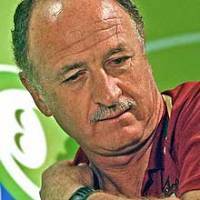 Scolari though, a World Cup winner with Brazil in 2002, has proven he can handle pressure and has a wealth of precocious talent at his disposal. Nani, a Sporting Lisbon winger who signed this week for Manchester United for 17.3 million pounds (US$34.3 million; EUR25.5 million), and FC Porto's Ricardo Quaresma should replace Ronaldo and Sabrosa. FC Barcelona playmaker Deco has shaken off an ankle injury and will take a central midfield role. Bremen striker Hugo Almeida, who just signed a four-year contract with the German club, is expected to get the nod for the centerforward position, though he has just two caps. Stuttgart's Fernando Meira will stand in for Carvalho alongside Jorge Andrade in the central defense. Belgian coach Rene Vandereycken can only envy Scolari for the depth of his team. Since Bayern's Van Buyten pulled out on Wednesday with a calf injury, Belgium's center of the defense has been exposed, and PSV Eindhoven's Timmy Simons is expected to be pulled back from midfield to play central defender. The Belgian defense has been hard hit by injuries. Defender Peter Van der Heyden pulled out of the team on Tuesday because the Wolfsburg player had insufficiently recovered from an abductor strain. Hamburger SV defender Vincent Kompany has been out injured for most of the season. Scoring has been a problem as well. In six games so far, Belgium has four goals, and to make matters worse, striker Moussa Dembele also had to pull out this week because of hamstring problems. "We don't score easily," said Vandereycken. "And it is true that in a match that we have to win, we have to score at least once," he said. Belgium has one consolation. The 45,000-capacity King Baudouin Stadium is a sellout, and last time the Portuguese played there they were eliminated from the semifinals of Euro 2000 by a hotly contested penalty from Zinedine Zidane of France.